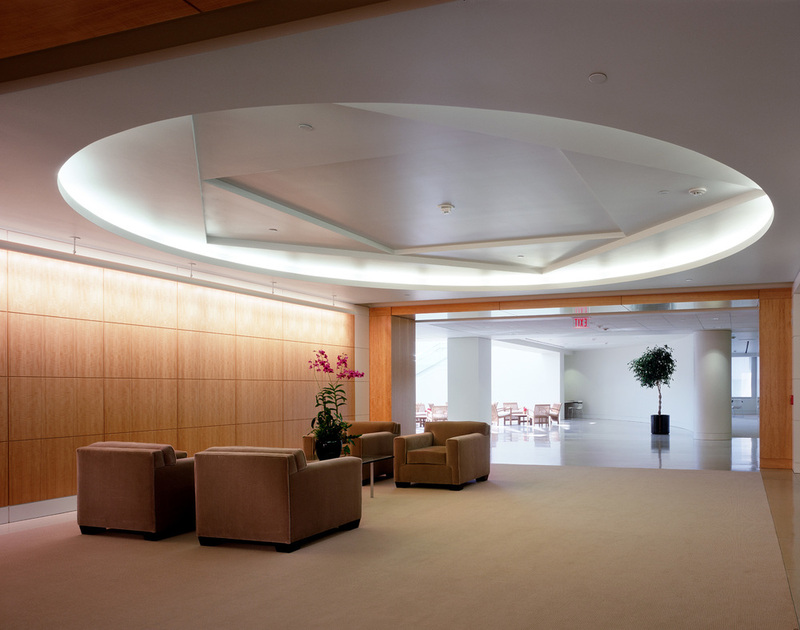 Pickett Design Associates created a two-level executive suite for Amgen Inc. Linking the 4th and 5th Floors, the open space adds light and volume, perfect for gatherings and entertaining. Epoxy terrazzo flooring, teak furniture and generous plantings complement the sweeping architectural lines of the entrance space. 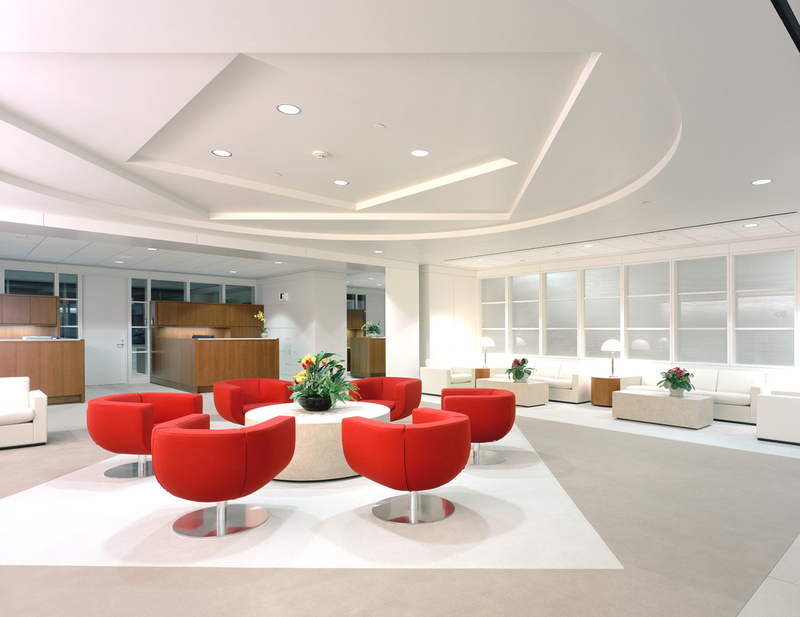 Custom furnishings were used for the executive offices. Each executive office includes a private secretarial and waiting space adjacent to the entrance. Centrally located within the executive wing and surrounded by custom administrative workstations, there is a waiting area that is also used for 40+ guest gathering. The boardroom table seats twenty-six with a concealed telecom system.